Apologies for cross posting. The following seminar may be of interest to IAG members. In this presentation, Tim will discuss the material composition of Melbourne in terms of the geological resources that have been used to build the city: stone, brick, cement. The paper will identify key sources from which these materials are derived to underline that cities are always composed from matter from elsewhere, forging, dispensing with and reforging connections. An examination of building materials can testify to the politics and tensions involved in these connections at various scales – colonial, pre-colonial, global, national and regional. By drawing on historical and contemporary research, Tim will discuss how Melbourne’s building stone and bricks have been subject to diverse, often contesting values that have fluctuated over time. Tim Edensor teaches cultural geography at Manchester Metropolitan University and is a visiting fellow at Melbourne University. He is the author of Tourists at the Taj (1998), National Identity, Popular Culture and Everyday Life (2002) and Industrial Ruins: Space, Aesthetics and Materiality (2005), as well as the editor of Geographies of Rhythm (2010) and co-editor of Spaces of Vernacular Creativity (2009). Tim has written extensively on national identity, tourism, industrial ruins, walking, driving and urban materiality. Minnesota University Press will publish his forthcoming book, Light and Dark, in Spring 2017. He runs a blog on light and darkness: Light Research at MMU<http://www.lightresearch.mmu.ac.uk/>. 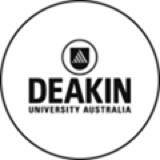 Venue Tip: Deakin’s new city centre campus is between Southern Cross Station and Docklands, on tram routes 11 and 48 (Stop D15). Entry is via Tower Two. The reception desk directs you to an escalator to a bank of lifts and Deakin Downtown is on Level 12.